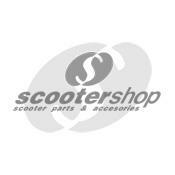 ScooterShop - Scooter parts & accessories » Chassis - Locks - Tank » Mud flap stainless steel for Vespa PX after 1984. Can be fit wit screws. Mud flap stainless steel for Vespa PX after 1984. Can be fit wit screws.